Hello, hello....did you have a fun Halloween???? Sure hope so!! 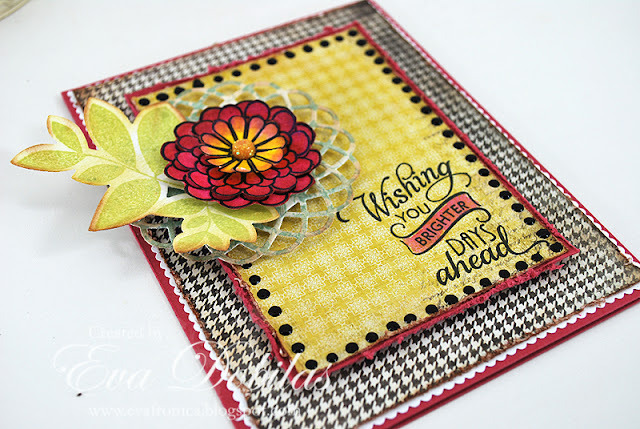 I wanted to share a card I made this week with Verve Stamps. To be exact using my all time favorite Verve stamps called Brighter Days. I used this week's Viva la Verve sketch from the Splitcoastforum. It's a very CAS sketch for me and I actually had fun with creating it, even though I am not a master of CAS layouts....LOL. 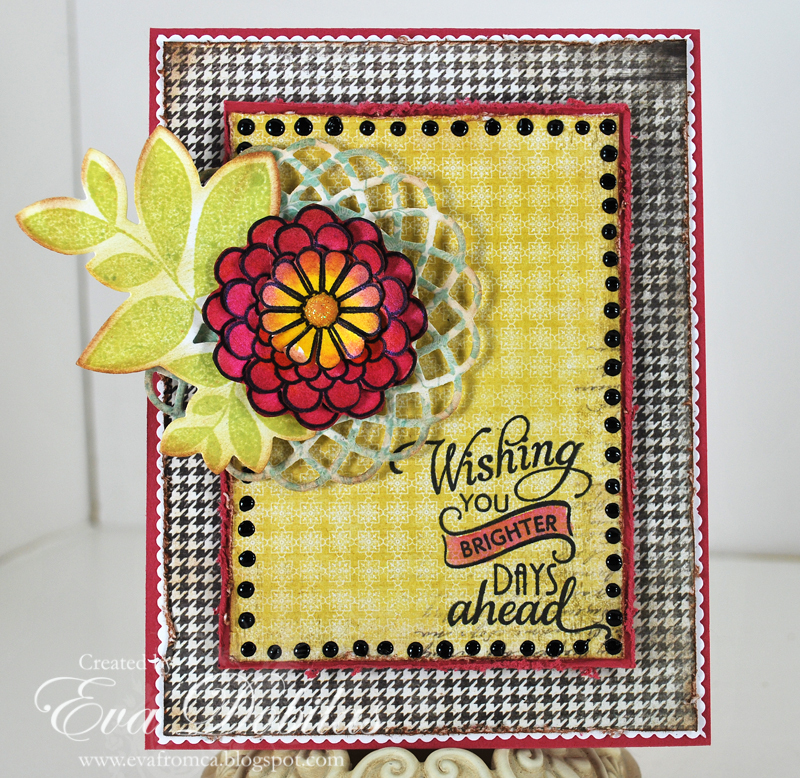 I also used the pretty leaf from the Bloom and Grow stamp set, which has it's coordinating die as well for easy cutout. The flower I stamped on white card stock 3 times and painted each of them with Twinking H2O's and cut them out to layer on top of each other. The papers I used are from We R Memory Keepers called Antique Chich...love this new collection. My doily is of course My Favorite Things Dizzy Doily Duo Die-namics. Here is a different angle of my card. Well, that is all I have for today. I also just finished a canvas that I am dying to share. It was for fun and heavily inspired a post card from an artist Lisa Kaus, but I will tell you more about it when I post it. Tomorrow however I am coming back with and MFT card....it's been a while and I fell in LOVE with their newest Christmas stamp set, so I had to order some stamps in order to get it, but I am so glad I did, as I LOVE the way my card turned out. See you tomorrow!!! !